A weekly published at Baltimore, Md., since May 29, 1895. Its first editor was Max Myers; he was succeeded by Louis H. Levin. The "Comment's" theological position is conservative, but it welcomes free interchange of opinions between Radical and Orthodox. It has made a special feature of regular correspondence from England, New York city, France, Germany, Italy, Australia, and Austria. 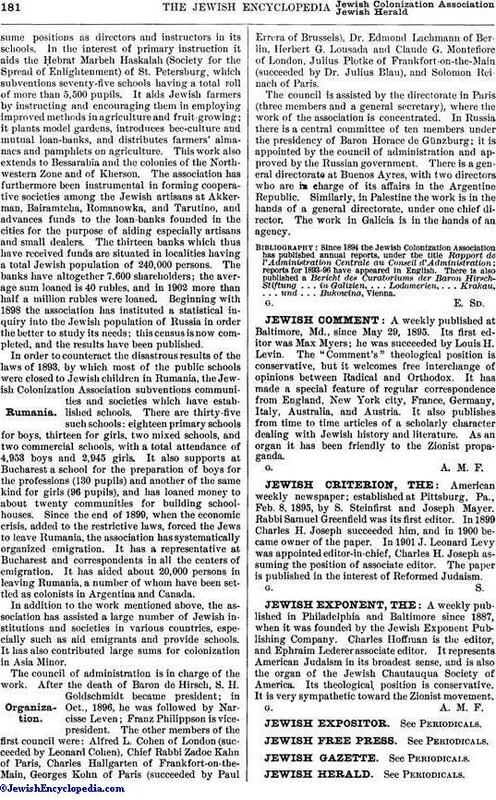 It also publishes from time to time articles of a scholarly character dealing with Jewish history and literature. As an organ it has been friendly to the Zionist propaganda.